At this month’s digital coffee morning we created the ethical recipe and emission tracking app: Eatical. Find out how our interactive workshop session went down. 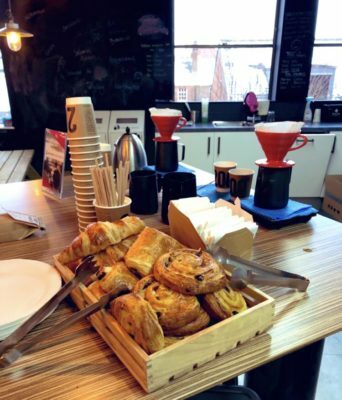 What is digital coffee morning? If you haven’t already heard (or seen us raving online!) about our digital coffee morning workshops, then we’ll explain the structure. 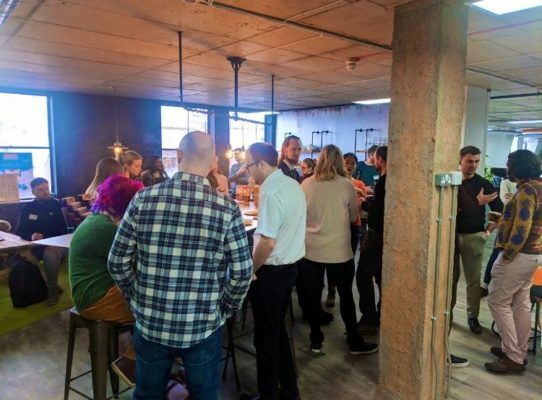 We invite 50+ individuals to join us for free coffee, pastries and an interactive ideas workshop – with the objective to map out an app or digital product using a simplified version of our time-tested process. The morning starts with us crowdsourcing a bunch of different ideas from our attendees and ends with a minimum viable product – which we allow anyone to go away and build if they want to (just remember us when you’re filthy rich!). 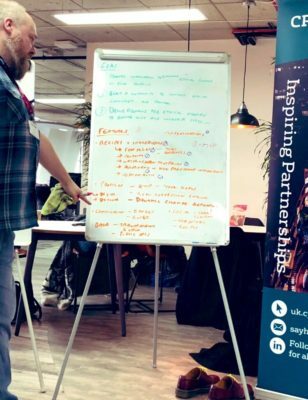 LightStart Co-Founder Dan pointed out that a fun game to help with idea generation is the ‘What’s the X of the X world?’ For example, what could be the uber of the entertainment world or the Tesla of the fashion world – a good way to spark some new concepts! In the end, it was the ethical food shopping app that won the majority vote. Would this turn into a Vegans vs the world debate?… we would soon find out.. So we had an initial concept, but how did we name the potentially debate-provoking app? Lots of suggestions were thrown out after we mapped out associated words – including ‘Karma Farma’ and ‘No Harm Farm’ – but the winning vote went to Eatical. Next: what problem are we trying to solve? 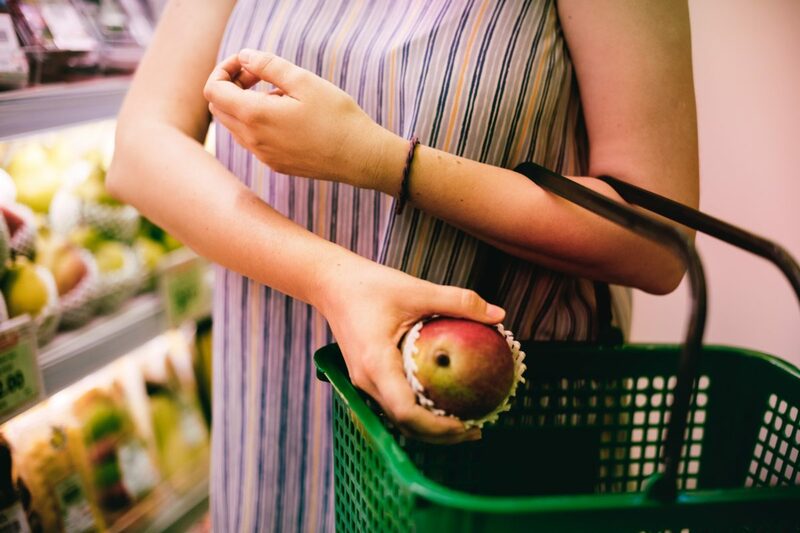 We wanted to solve the ‘information overload’ issue around ethical eating – there’s so much inconsistent info out there that it’s hard to know what’s actually right and what we should prioritise, so we wanted to bring some clarity to the ethical eating world. We also wanted to ensure our ethical platform wasn’t overly judgemental – focusing on informing people about their choices and options and inspiring them to choose better (rather than making users feel bad!). Featuring ethical products of course! A change estimator – where people and cities could compete to see who was most ethical. Data sharing – the above suggestion would involve users sharing their usage and location data, but it turns out we’re happy to do so if we know it’s going to good use (or at least our audience thought so when we asked!). Impact assessment/receipt uploader – allowing users to scan their receipts and get back suggestions for more ethical products for their next shop. Shared content and a news feed – to help build the community factor. When creating a digital product we always advise to start with the MVP (Minimum Viable Product) to test your idea out at the lowest possible cost… and as with all our workshops we break things down into phases – with the first phase incorporating the recipes & ingredients elements, along with easy social sharing. 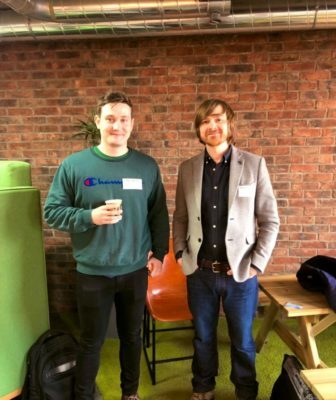 Phase 2 incorporated the more business focused elements of the platform, including directories, gamification, personalisation and the data gathering – hopefully to grow the market and generate revenue from sponsorship. A final phase added in personal profiles, including ethical goals and tracking the impact of changes made. And we were done! No angry debates or issues – Dan kept the crowd calm and focused whilst a stream of ideas came from our audience – an awesome session! Feedback: What did our audience think? We asked a few of our attendees to let us know feedback on today’s session, here’s what they had to say. “We think the session is informative, interesting and social! 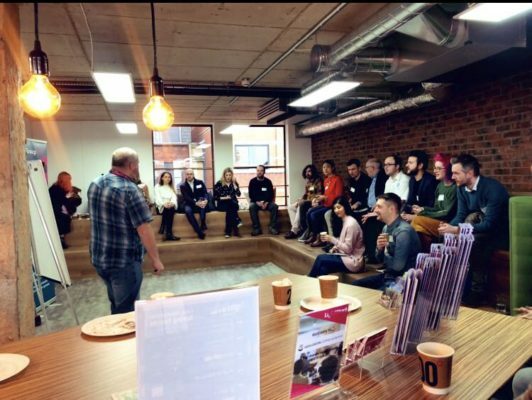 We also have loads more events coming up in the Light Start calendar including our Mobile Monthly, Digital show and tell and NetWINEing – check out our event listing page to reserve your spot! This entry was posted in Digital Coffee Morning. Bookmark the permalink.